If you know me, than you know that most of my closet consists of many graphic tees. 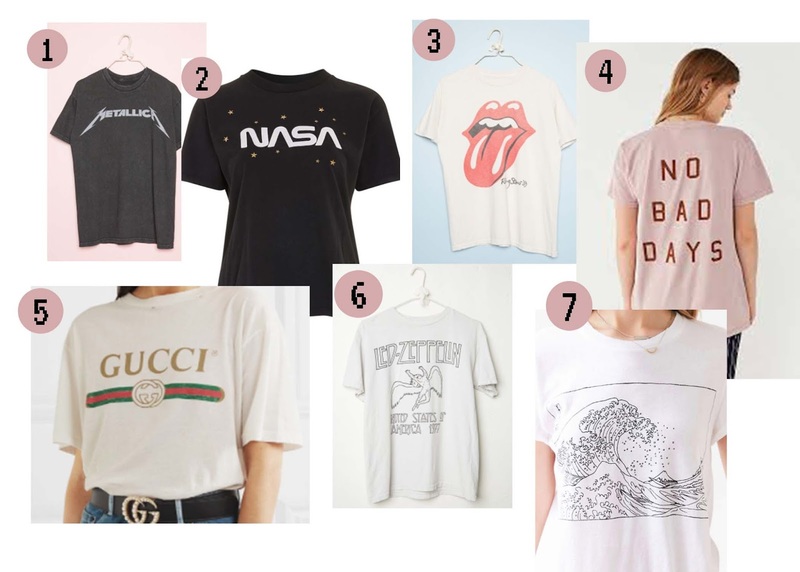 They have become an essential in my week to week wardrobe and I don't think there is a single week that there is not at least one day that you will see me in a graphic tee. So today I wanted to share with you some of my favorite graphic tees and some of the many ways to style them. If you are looking for something easy and simple to style, but still want to look effortless, than the basic graphic tee should be your go to. Some of my favorite graphic tees I always seem to be leaning towards are a good band tee or a cute little quote in a minimalistic font on a tee. There are so many options which is why I think they have become such an iconic item to own. They have become a go to street style look that you probably have seen either being dressed up or down. Usually for me, I love to simply dress it up through pairing it with a cute skirt or even a dressier pair of trousers. It can simply make any look effortless but still so chic because of the other items you have paired with it. I also have been seeing myself reach for my favorite graphic tee whenever I am traveling. 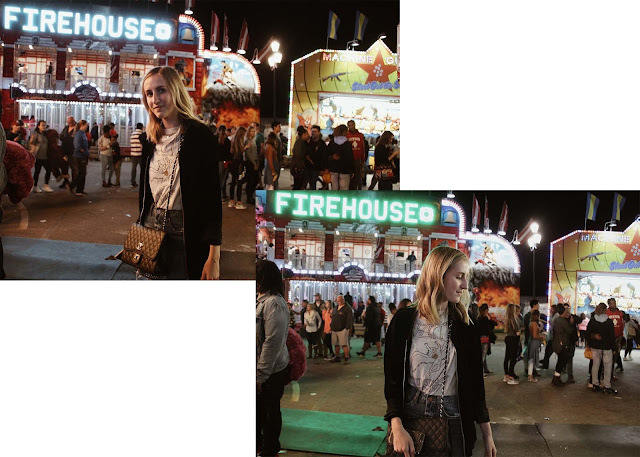 Recently I have been traveling a lot so I have definitely mastered that comfortable outfit that you want to have on the plain but still can wear out in public when you get to your destination. I usually pair it with a comfortable pair of joggers, some sort of jacket around my neck and a good pair of black boots. I made sure to list some of my favorites down below for you all to check out for the many occasions that you may need a graphic tee for.